Has the tail end of winter left you antsy for warmer days? Now’s a great time to do a refresh on your wardrobe and prepare yourself for spring. Although spring has technically sprung, the warm weather seems to be taking a bit to arrive. With our tips, at least your clothes will be ready when it finally gets here! Don’t put your winter gear away covered in corrosive salt or dirt; a quick run to the dry cleaners will have it in pristine condition for when winter comes around next year. Though you may still need to wear a jacket, you can at least take your heavy-duty winter gear and have it professionally cleaned now that the worst temperatures are behind us. After a winter’s worth of wear, your sweaters might be looking a little shabby. A quick pass with an inexpensive de-piller will have your clothes looking good as new. Nothing says spring like a good deep clean. As you’re taking out your winter garments and preparing to store them, pull out any items you no longer wear and mark them for donation. If you haven’t worn something all winter, donate it! Try some new storage solutions, and then give your closet and drawers a quick scrubbing down. 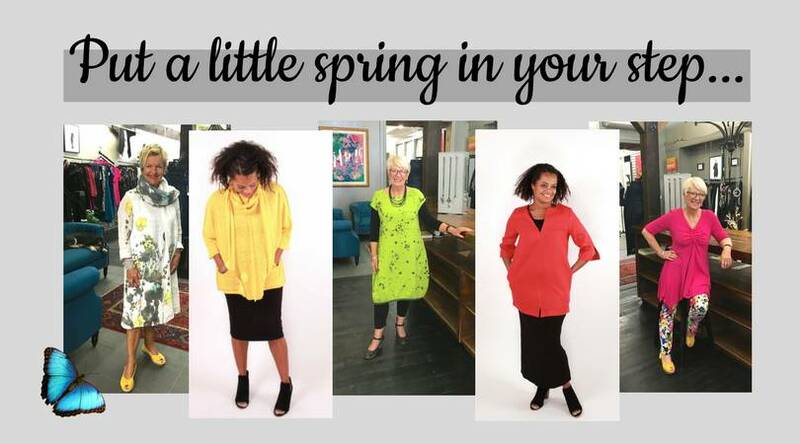 Though winter may have sent you running for dark coloured garments, spring is a great time to pull on those bright colours again. Find your favorite colours and bring them to the front of your dresser or closet to give yourself a jolt of spring energy in the morning. Spring weather can be changeable and chilly, so focus on buildable pieces to help you go from cold mornings into those warm afternoons. Scarves, vests, thermals, and cardigans add a degree of flexibility to your outfit so you won’t be too cold or too hot. Need an outfit upgrade or some style advice? 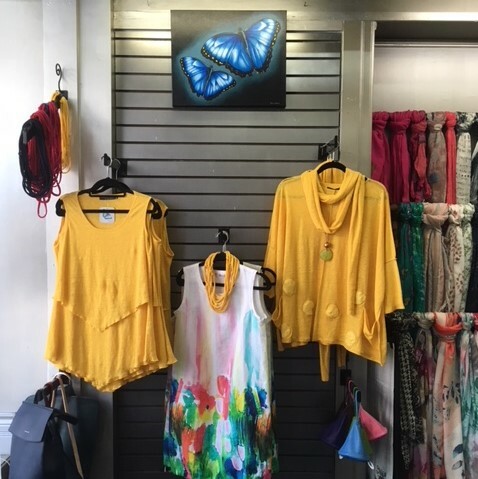 Come down to Lousje & Bean to see some energetic, beautiful spring styles.